There are many types of shower doors available in the market today. But there is one particular kind that stands out above the rest for exuding an air of understated elegance. And that is the frameless glass shower door. It’s all about the clean lines. Because of its sleek look, frameless glass shower doors are growing in popularity. Gone are the flimsy shower curtains that leave a dripping mess. Gone are the bulky aluminum or wood-framed shower doors. These types of doors and shower enclosures can produce the illusion that your bathroom is bigger than it actually is because of the fact that it’s frameless and allows a continuous line of vision. Are you looking for a company to install frameless shower doors in your bathroom? Look no further! With the skilled professionals in our team, you’re sure to not just get any old shower door. At Virginia Windows & Glass Repair Services, you are sure that you shower area will be installed with no less than a high quality frameless shower door that is guaranteed to last you for years to come. We can work in both residential and commercial settings. 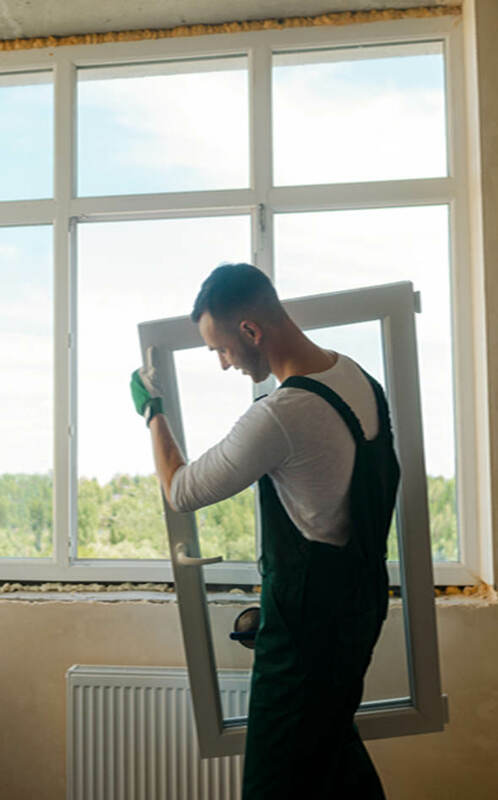 At Virginia Windows & Glass Repair Services, we’ve got the tools and the manpower to handle projects for homeowners or business establishments. If you want to have 1 frameless glass shower door installed in your bathroom, we’ll get it done in no time. If you’ve got an inn or a hotel that needs 200 frameless glass shower doors, that’s not a problem. All you have to do is give us a call and we’ll handle it for you. Quick and efficient professional work at attractive prices. At Virginia Windows & Glass Repair Services, we’ve been providing our high caliber services at the most affordable rates. Because of the quality of our work, we’ve gained a loyal customer base in the Washington DC, Virginia, and Maryland area. At Virginia Windows & Glass Repair Services, we don’t just handle shower doors. We can also install, repair, or replace windows, glass table tops, screens, and doors. If you live in the area and are in need of these services, perhaps you’d like to give us a call so you can experience for yourself the excellent service that we’ve been dishing out to the public over the last 8 years that we’ve been in business. At Virginia Windows & Glass Repair Services, elite window and glass treatments are just within your reach. Virginia Windows & Glass Repair Services – We do windows. We do glass. We do it all with a touch of class. When you are in need of HIGH QUALITY glass repair or replacement services, don’t think twice about giving us a call at VIRGINIA WINDOWS & GLASS REPAIR services a friendly operator will be standing by to take your call. Proudly Serving Washington DC, Northern Virginia & Maryland. Northern Virginia Windows and Glass Repair Services. - Emergency Board Up Service. - Door Closers & Parts. - Insulated Glass Repair & Replacement. It’s all about the output.